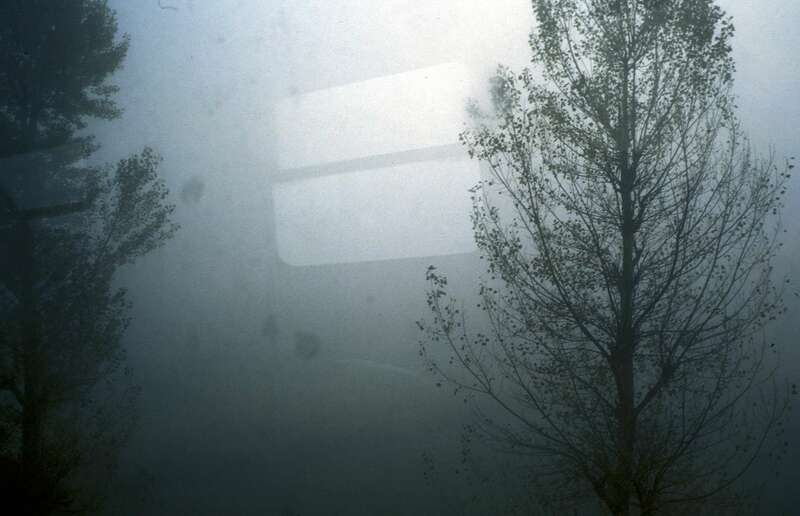 Window reflection from a one-car passenger train that runs between Sarajevo and the town of Konjic, about forty-five minutes to the south. Before the war, the former Yugoslavia had one of the best rail transit systems in Europe. Bosnia\'s rail system was virtually destroyed during the war and is only slowly being rebuilt.